Are you in the process of buying a pair of work boots? Are you looking to make every dollar count? Then you’re reading the right article! Nowadays, there’re plenty of work boots available to choose. In fact, many have the level of protection and durability workers require for their, and some of them are even offered at a surprisingly affordable price. But… there are also many others that aren’t so good. They’re built using low-quality materials that make the boots last less that a year, which makes any worker frustrated and their wallets thinner, as they’re priced incredibly high. To prevent any worker from feeling this way, and to let you know that I understand that money is something to take seriously, I’m gonna show you 10 affordable work boots that I think have the best price and quality combination in the market. There are two misleading ideas most consumers have in their minds that prevent them from buying quality work boots at a great price, and, the only way to get rid of these is to aknowledge them. Confusion #1: Cheap Means Bad Quality. Workers think that cheap means bad quality. They think manufacturers have to use low quality materials, which are the only ones that are cheap, as it’s the only way they have to make money while offering a good price. Therefore, they believe that cheap materials make boots that can’t be protective, comfortable or durable enough, so they end up falling prey to this lie as they buy work boots at a higher price. Confusion #2: Expensive is ALWAYS Better. Moreover, most workers are also prey to the “classic marketing techniques”. These techniques are designed to build the idea that expensive is always better in the minds of consumers. In fact, they think that a product with a big pricetag must have high quality materials which are necessarily difficult to find or manufacture, something that conveniently validates the price. As a consequence, workers tend to spend much more on work boots that are extremely overpriced. Moreover, some manufacturers are so greedy that they purposely use cheap and bad quality materials to produce their work boots, with the sole aim to then turn around and offer the boots at a high price, thus guaranteeing bigger profits. In other words, these organizations prefer to spend less money on R&D and top-quality materials, while allocating much more resources on marketing with the goal of relating their brands to the images of quality on the minds of the consumers, so they can justify such crazy prices. 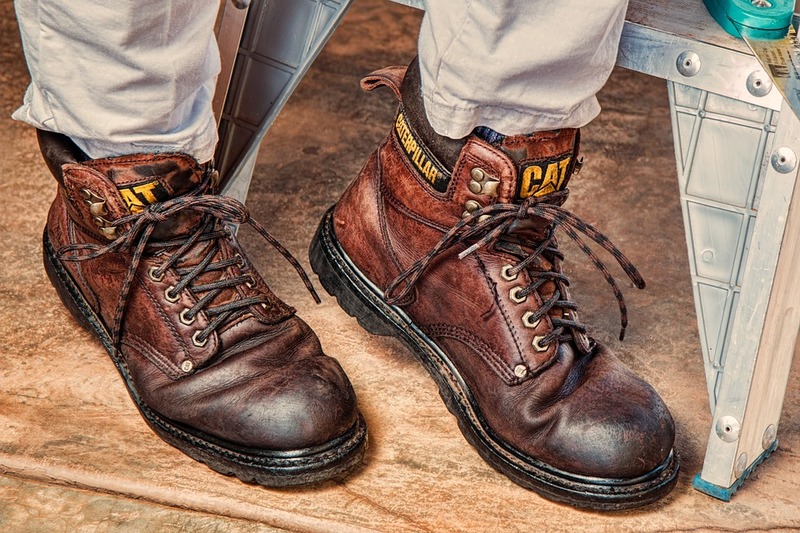 The materials needed to manufacture a protective, durable and comfortable pair of great quality work boots are affordable. There are no questions about it. In fact, one of the biggest advantages of today’s economic globalization is that most materials used in almost all clothing products can be found cheap and of a high quality in many locations around the globe. What is really expensive are the expenditures in other costs which are not related to the quality of the boots, such as in marketing. So, whenever you see a pricey pair of work boots that’s being vastly advertised, then you’ll know that you’ll be paying not only for the materials and features that are part of the footwear, but for the marketing expenses too. The impressive thing about this is that many brands concentrate their efforts in providing the best boots with great features without spending too much money on marketing, which lets them offer their products at a much lower price. So, how do you get to know those brands? There is no boot without durability. If your work boots are second rate, it doesn’t matter how cheap they are, you will end up regretting the fact that you bought them. Frustration and anger will arise after you realize how under-performing they are and that they ended up lasting you less than a year! Protection is essential for every worker. I can’t tell you how many times my steel toe boots saved me from having my feet and toes crushed by a falling object at the construction site. Moreover, there is no law that says that inexpensive work boots are not protective. In fact, it’s fair to say that having safety features does not add a lot to the boot’s overall cost. Without comfort, you can’t achieve your top performance. Well, that’s easy to answer, you will end up constantly thinking how uncomfortable you are instead of focusing on how to improve you work performance. On top of that, by choosing a comfortable pair of cheap and affordable boots you will feel both satisfied by its features and also smart for having chosen the right boots without spending too much money. How Did I Choose The Best Cheap Work Boots? A well-defined process for choosing the best cheap work boots does not exist. Sometimes you just have to take matters into your own hands and trust your own judgment. That’s how I came up with my own process for finding what pair of cheap work boots would best serve my needs. This method started by first selecting several work boots that had the features I described earlier in the article. 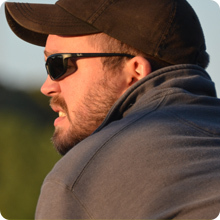 And it continued when I deployed several tests to discover the quality, comfort and protection of each of them. One of the primary complaints many workers have when it comes to buying cheap boots is that their footwear doesn’t last long enough as they fall apart quickly because of the poor quality materials from which they’re made. To avoid this frustration, I inspected both the materials and the construction processes of each pair of boots to see what boots had better durability features. Also, I exposed the work boots to water, mud, and scratching against concrete to see for myself how well they would endure this level of wear and tear. There are no workers that want to work with their feet in discomfort, even if they only had to spent a small amount of money to get the work boots they’re using. This is why I tested the boots, to see whether they were comfortable or not. To do this I paid close attention to what type of insoles the boots had and what type of cushioning they would offer. Also, I looked whether they had good ergonomic designs or not, to see if the work boots were going to be comfortable. And finally, I paid close attention to how tired my feet were after I would use that certain pair of work boots all day long, which is something workers frequently ask about the work boots I review. Many cheap work boots are made with low quality materials. This means that most affordable boots don’t offer the necessary protection as they are made using lousy protective features. This type of risk is what almost all workers want to avoid, of course. So, to test the safety of my toes I would drop heavy objects to see whether the safety toes that came with the boots would protect my toes or not. Also, I would purpously walk on slippery surfaces to check if the boots did or did not have functional non slippery outsoles that would provide me with traction in those types of surfaces, which is essential to prevent accidents and injuries. In order to provide the maximum value to you, I divided the list of the best cheap quality work boots in two sets of 5 work boots each. The first part is about five of the best affordable boots under 50 dollars. And, the second part is about the other five work boots, but this time, under 100 dollars. The idea was to adapt to two different budgets with the same goal, providing quality information about the best-value work boots in the market. If you’ve been looking for a good quality pair of affordable work boots then you’re looking at a great solution for you. These Rhino work boots had many protective features, such as an oil and slip resistant outsole which let me work and walk with confidence in almost any surface. Also, the boots came with safety steel toes that gave me the protection I needed for working in any field without the fear of my feet or toes getting crushed by falling objects at the construction site. This, of course, let me focus on my performance with extreme success. I mean, after using them for more than a year I can surely tell you that when wearing them you will feel you’re wearing armor on your feet! Based on my previous experiences and many of my coworker’s anecdotes, I can tell you that these Rhino Steel Toe safety work boots are a pair of really durable boots. This has to do mainly with the fact that they came manufactured with a top-quality leather which guaranteed that the boots would endure anything I would put them up to. Moreover, this leather was oil resistant, which made the boots even more perfect for my job as a construction worker, as I’m almost always exposed to these substances. These Ever Tank work boots are some of the most comfortable cheap quality work boots I have ever tried as they came with features such as a cushioned insoles that assured me comfort at all times. Additionally, they had speedy hooks that let them conveniently fit on my feet which removed the discomfort of feeling my feet dancing around inside the boots. A pair of boots with a set of durability attributes that guarantees a base of at least two years of good use is what everybody wants, right? Well.. these Ever Tank work boots have these conditions and much more. With great features such as the manufacturing of the boots following the so-called “Goodyear Welt Construction Method”, one of the best and most durable construction methods in the market, next their slip resistant ruber outsoles that kept me safe from slips and fall thanks to the traction they provided, these are definitely a one good and affordable pair of boots to take a look at. Convenient Speedy Hooks and Back Loop for Easy Wearing. Comfort Cushion Insole with Removable Option. These GW work boots are one of the greatest cheap work boots that I thought deserved a place in this list of the best boots under 50 dollars. They were created using top-quality materials, such as a full-grain leather which let the boots appear to be both gorgeous and durable. They also had safety steel toes which protected my toes from falling objects that could have crushed my feet. I mean, the feeling of protection was almost instantaneous after putting the boots on. On top of that, they had slip resistant rubber outsole that kept me safe from falling and getting injured while walking on sketchy surfaces, which are more than common at construction sites. Durability is that attribute that every worker hopelessly looks for in a pair of affordable work boots. The thing to note here is that getting durable and cheap work boots is not impossible, it’s even easy if you know what to look for. These GW boots, for example, had awesome features that make them last longer than the rest. They were made using genuine leather and premium water resistant uppers which protected my feet from any kind of liquids, leaving my feet nice and dry while letting me focus on my performance. On top of that, they were produced following the steps of the Good Year Welt Construction Method, which is a standard of durability in many work boots nowadays. Good Year Welt Construction Process. Heel measures 1.5″, Platform measures 0.75″ approximately. Shaft measures 5″ from arch approximately. Here are the boots on top of the box they came in..
A solid protection is not impossible to achieve on a pair of work boots. In fact, there are many boots that have the necessary characteristics to offer this type of quality. On that account, these Skechers boots had steel safety toes that kept my toes from getting crushed by tools that could have fallen at the construction site where I work. And also, the boots had an electrical hazard protection that kept me safe from getting electrocuted when working, a feature that I really appreciate as I’m always working around wires and stuff. And to finalize, the boots came with rubber lug traction and oil resistant outsoles that kept me safe from slipping when walking on uneven or slippery surfaces, which is something that prevents many accidents. We all know that top performance can’t be achieved while working using uncomfortable boots, right? That’s what I think at least, which is why I really liked these Sketchers work boots as they came with features such as a roomier design and memory foam cushioned insoles that guaranteed me a constant level of comfort throughout the day. I have many years of experience as a construction worker, and, let me tell you that in many situations when it comes to work boots, comfort is more important than protection. Here is a picture of the boots..
Durability is what most workers strive to find in a pair of boots. On that note, these Dickies work boots do an excellent job in providing many years of durability. Thanks to their full-grain leather and the abrasion-resistant nylon panels that would resist tough external conditions, the boots gave me the guarantee that they would last for at least two years under the heaviest of usages. Believe me, I’m tired of hearing from many of my coworkers, that these Dickies boots are the best ever! Are you looking for comfort in a new pair of boots but you don’t want to break your wallet? Then you might be looking at a great option as these Dickies boots have awesome comfort features such as their lightweight EVA midsoles that provided me with cushioning in every step, which assured me an awesome level of comfort during my working hours. On top of that, they had shock absorbing insoles under their belt which guaranteed me that I would get a top-of-the-line support in every step I would make at the construction site, no matter on what hard surface I would walk on. I mean, I know it sounds a little bit too much, but they’re as good as they sound, I was even able to feel the quality and support of the boots from the very first moment I tried them on! Premium shock absorbing PU insole. And The Best Work Boot Under $50 Is.. These GW steel toe work boots deserve the first place on my list of the best cheap quality work boots under $50. Wanna know why? Check out my review by clicking the button down bellow! I know that there are workers with many different budgets which is why I decided to divide this article on two different lists. In the next part, I’m gonna show you what are the best cheap quality work boots under 100 dollars as of right now. I mean, without feeling comfortable there is no way you can work with your mind not constantly thinking about that! If you’re looking to prevent this and make the most out of your money then these Wolverine work boots might be the best option for you. With features such as lightweight nylon shanks which provided me with stability and support in each step, and with their full-cushion footbeds which were essential for letting me feel comfortable even after a couple of hours of working on my feet, these boots come up as one of the most comfortable cheap work boots. I mean, I remember as if it was today the first day I used them. It took me no time to understand the degree of comfort they offered! It was insane! When you look for the best boots your budget can afford, then looking for durability and protective features is one of the main things you must do. Luckily for you, I’m reviewing one of the most durable boots in the market. Why did I label these Wolverine work boots as “one of the most durable”? Well… becuase of features such as their safety steel toes that kept me safe from falling objects and the lightweight cement construction method followed to manufacture these boots, which made them become rugged and durable at the same time! Definitely one of the best inexpensive boots in the markets! Here is a homemade picture of the boots outdoors.. These Timberland boots, one of the most famous in the market by the way, really excel in terms of comfort. They have interesting features such as their PRO comfort suspension technology which was aimed to provide me with a cushioned support for every step I’d take. On top of that, they had contoured sock liners that gave me comfort and breathability even after many hours of working, something that was essential to sustain a respectable performance while at work. I mean really, the comfort and coziness I experienced when using these boots for the first time was incredible! With features such as quality steel toes that feature a roomier box and comply with demanding safety standards, these Timberland boots are surely one of the most protective and affordable boots in the market. They also had welted lug outsoles that provided me with stable traction when I would walk on uneven or slippery terrains. And, to make things much interesting, they offered a trustable electrical hazard protection that meets the PT99 safety standards, which gave me the confidence to work around wires without any worries. Now you know why these Timberland Pit Boss boots are the best selling affordable boots of the year, and my personal favorite too. Welted lug outsole for exceptional traction. Steel toe meets ANSI Z41 PT99 safety standards and features a roomier steel toe box. Electrical Hazard Protection meets ANSI Z41 PT99 standards. PRO 24/7 Comfort Suspension™ technology. Uninsulated, full-grain or nubuck leather upper for comfort and long-lasting wear. Goodyear welt construction for rugged durability. Removable, contoured sock liner for comfort. Here is a homemade picture of the boots in the outdoors..
Nowadays, workers faces many risks. That’s why they must look for trustable protective features in all their work boots, even in the most affordable ones. I mean, it’s not like you should have to deal with crappy work boots only because they’re cheap. On that account, these Caterpillar work boots had a mix of protective features that made them stand out from the rest of the boots I would test. First, they came with safety steel toes that kept my toes safe from getting hurt even when I would walk on sectors of the construction site where heavy objects could have fallen. Something that was more than vital to let me work in confidence. Also, they came with an electrical hazard protection that shielded me from one of the most extreme of accidents that could happen in a construction site, electrocution. I mean, how aweful would it be to get electrocuted, I can’t even think about it! And finally, they came with slip resistant outsoles, which gave me stability when it came time to walk on slippery surfaces at the construction site to do an specific job. For example, when I have to unload material when it’s raining. I mean, every time I put them on to go to the construction site I feel as I’m wearing an armor for my feet! Getting at least a couple of years out of their work boots is what almost all workers expect. That’s why durability is such an important topic in all my work boots’ reviews, even when it comes to those that aren’t expensive at all! On that note, these Caterpillar Second Shift work boots really did a great job providing many years of durability. To begin with, they were built with a full-grain leather which was rugged and extremely good looking, something that guarantees durability, while most of the leather used in other boots gets wrecked effortlessly. I mean, I’m used to see boots getting holes as soon as 2 months after buying them, whereas with these boots that didn’t happen even after beating them up for 6 months straight. Together with this attribute, the boots came manufactured following the famous “Goodyear Welt Construction Method” which is known between workers for adding many years of durability to every boot, something that almost all workers alive strive for in their boots. I mean, who wouldn’t be happy, after having spent 120 dollars on a pair of work boots, with their boots lasting for many years without having even to fix them? Nobody. Here is a homemade picture of the boot.. If you’re looking for the best cheap work boots, then you are on the right track with these Dickies work boots. They came with great features such as their premium full grain leather uppers and a fully lined with moisture wicking performance fabric, that while combined provided me with excellent both comfort and durability. I mean, I felt that I could do jobs that would otherwise put my feet in contact with extreme heat or just beat up boots, without worrying about whether me or the boots would get hurt! Moreover, the boots had oil resistant rubber outsoles that would endure when I had to walk while in contact with sketchy luquids that are always on the construction site’s floor. This gave me the confidence to walk on rough surfaces without any worries, which substantially increased my performance. I mean, who doesn’t like to work with their mind clear? From the first time you lay eyes on these work boots you will get what I’m saying, the standard of quality that the engineers at Dickies respected while manufacturing these boots are just incredible! You can’t work without comfort as you can’t live without food. The problem is that the majority of the boots famous for being comfortable are too expensive. Luckily for you, these Dickies boots are one of the most comfortable and affordable boots I could have found. First, and as I told you before, they came built with a fully lined moisture wicking fabric that combated odor, making them breathable while also keeping me safe from having smelly feet. And what a relieve I felt every time I would get home and take out my boots without making the room smell! On top of that, they came with comfortable and removable insoles designed to support every step, regardless of my weight, which is certainly high by the way. This gave me a sustained level of comfort throughout the day, it didn’t matter if I needed to dig trenches or load heavy equipment, the comfort was there! I can’t tell you the support and comfort I felt every time I used them, especially for when I would have to work 10 to 8 hour shifts on my feet while standing on really hard surfaces, like concrete. Are you looking for an affordable work boot that is on your budget but at the same time protective? Then you might be looking at your best option! These Caterpillar work boots really did a great job at keeping my feet safe from many threats as they came with quality steel safety toes that protected my toes from falling objects that could have crushed them. And I’m talking about heavy machinery that could amputate your toes here, it was like if I was wearing a piece of an old armour over my toes! On top of that, they had solid t3 outsoles which did a great job on uneven terrains by providing me with the traction needed to walk without worries. This is essential for me as I’m constantly worried of slipping and getting injured. You can’t make a great purchase if you don’t have the security that the boot you’re buying is going to last you for at least a couple of years, right? On that account, I can give you my word that these Caterpillar work boots are one of the most durable and affordable boots you could possibly buy. Well, first, the boots were made following the so-called “Goodyear Welt Construction Method” to manufacture them which, as I explained earlier on this article, is one of the most trustable manufactuing methods in the world. I mean, who wouldn’t like to walk around the construction site using work boots that they know will endure whatever they would put them through? And to top things off, these Caterpillar work boots came with really comfortable features. First, they had their PVC midsoles which shock absorbed every step I would make on the toughest surfaces of them all, concrete. I remember one time thinking to myself “Wow, I’ve been here working my as* off standing all day long in this concrete floor and my feet are not even noticing it!”. And this is nothing to be surprised about, as PVC is a really light but rugged material that can provide the feet with support AND comfort, all at the same time! And finally, the boots were manufactured using a Nylon Mesh Lining that was not only comfortable, but it also let my feet breathe, which is essential for all workers as they’re usually working in the outdoors where it’s sometimes really hot. I mean, I would work all day long unloading materials or cleaning the construction site by removing debris under the heavy sun, and my feet would be dry and comfortable! Here is a homemade picture of the boots over a carpet..
And The Best Work Boots Under $100 Is.. I think these Timberland Pro Pit Boss work boots deserve the first place in my list of the best cheap quality work boots under $100. Wanna know why? Then you should check out their review by clicking the button down below! Pro Tip: Never Buy Used Work Boots. Doesn’t Matter How Cheap They Are. If I’ve learned something in my years as a construction worker is that being too cheap is not always a great idea. And, when it comes to work boots, you must know that buying used boots to save a few dollars is not as good as it sounds. Well, first of all, if you get used boots you will be using shoes that are shaped to a different type of feet. The inside of the shoe will be “molded” to another man’s feet. This will be uncomfortable and overall a very bad experience for you. And, finally, if you get used work boots you won’t know how long they will last. They may last a few months but they can last you only a few weeks, you never know with used boots.